Yesterday, I completed Legs & Back and Ab Ripper X. I kept any weights I used for leg exercises the same as last week and focuses on pull ups. Pull Ups continue to progress well. Over the past three weeks they have increased from 16 unassisted pull ups to 26 to yesterday’s 42. I’m very happy about this progress. I also continue with negatives and 25 band pulls each round. So, for Legs and Back, that means I’m pulling that band a total of 200 times over the four types of pull ups (4 x 25/round x 2 rounds = 200). So, for those struggling with pull ups, certainly do as many negatives and chair assisted as you can, but I also highly recommend using the band to build the base muscles for pull ups. I need to get Kenpo X in early today because I have a singles tennis match scheduled for 4 pm. 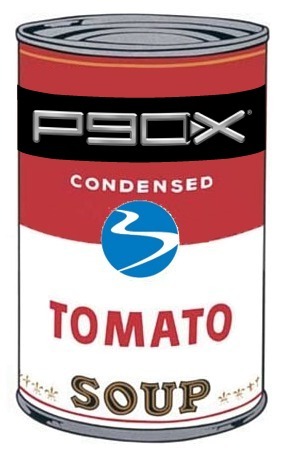 This entry was posted in P90X, Round 1 and tagged Ab Ripper X, P90X, Pull Ups, Tennis. Bookmark the permalink.